Discussion in 'Masonic Blogs' started by My Freemasonry, Aug 25, 2012. 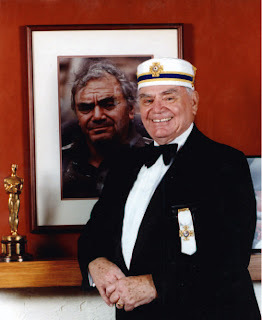 "Please be aware that there will be a Masonic Memorial Service for our Brother Ernest Borgnine at the Long Beach Scottish Rite (in their Ernest Borgnine Theatre named in his honor recently), on Saturday, September 1st, starting at 11:00 A.M. He belonged to Hollywood Lodge No. 355 and was a 63 year Mason, having been raised in Virginia back in 1949.